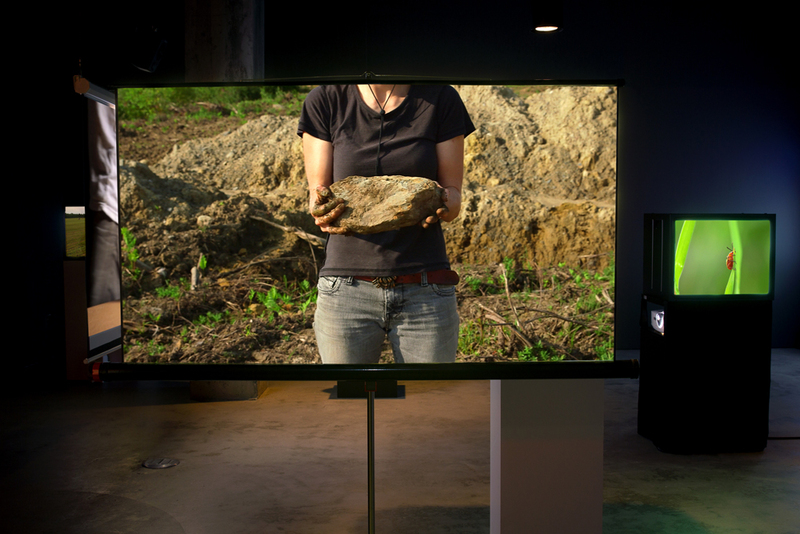 Richard Ibghy and Marilou Lemmens, The Golden USB, still, 2014, multi-channel video installation. 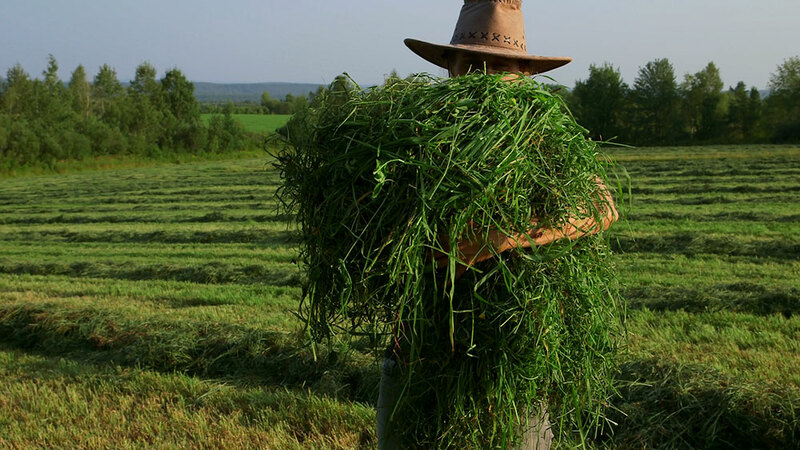 Produced by La Biennale de Montréal for BNLMTL 2014 : L’avenir (looking forward). Courtesy of the artists. 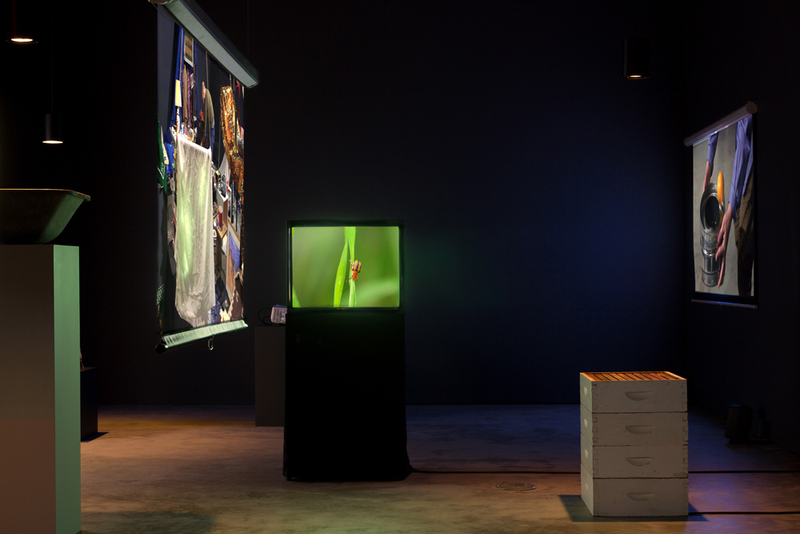 Richard Ibghy and Marilou Lemmens, The Golden USB, production still, 2014, multi-channel video installation. Produced by La Biennale de Montréal for BNLMTL 2014 : L’avenir (looking forward). Courtesy of the artists. 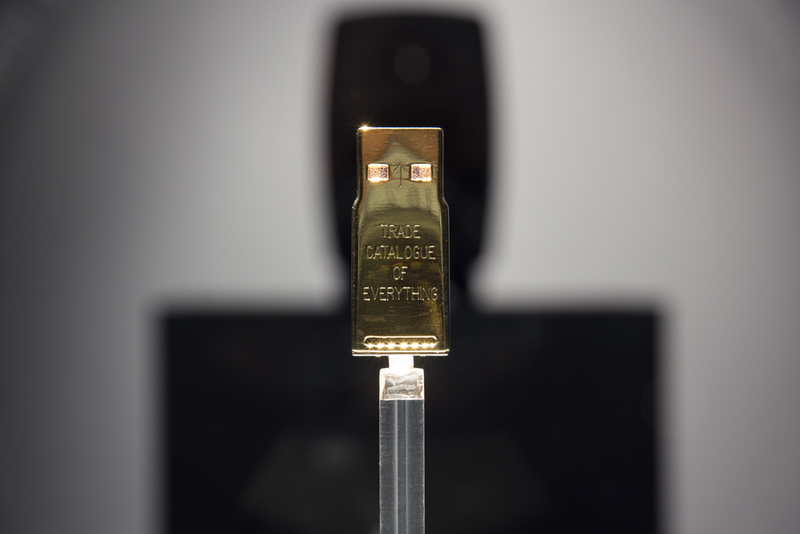 Richard Ibghy and Marilou Lemmens, The Golden USB, digital image, 2014. Produced by La Biennale de Montréal for BNLMTL 2014 : L’avenir (looking forward). Courtesy of the artists. 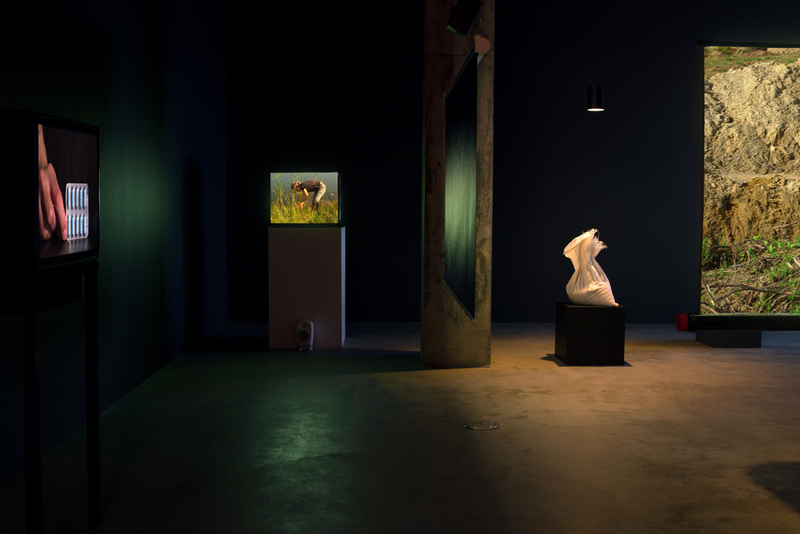 View of the exhibition Richard Ibghy and Marilou Lemmens. The Golden USB, VOX, from September 11 to November 8, 2014. 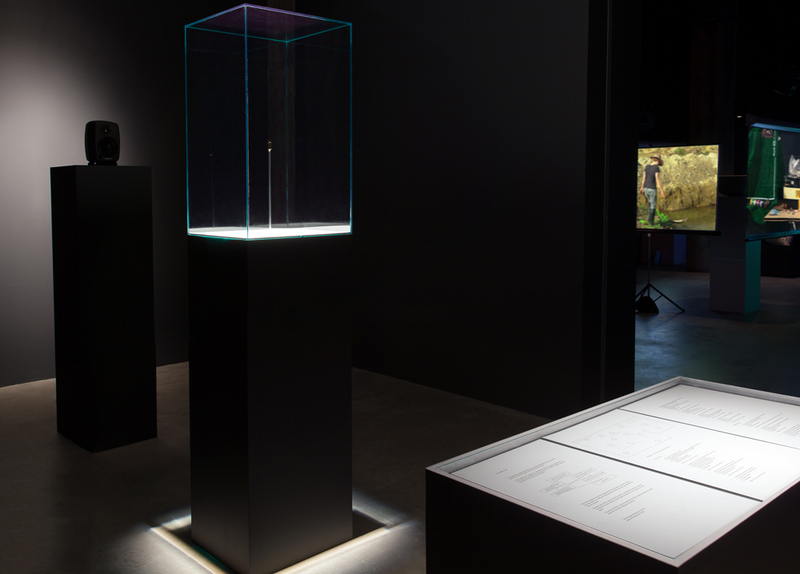 The Golden USB is presented in partnership with Biennale de Montréal (BNLMTL). Richard Ibghy and Marilou Lemmens’ recent collaborative practice has been grounded in an ambition to materialize—to demythologize—abstractions and abstract thought, especially in regard to the social science we commonly refer to as “economics.” Such an aesthetic practice might strike us as too likely to be boring, recalling that the 19th-century historian Thomas Carlyle gave it the enduring moniker “the dismal science.” Yet we’d do well to also recall that another influential abstraction, God, had been a traditional subject for artists through many centuries as they attempted to materialize before our eyes, by means of various visual mythologies, that which is profoundly ineffable. Somewhere at the root of Ibghy & Lemmens’ intellectual, social, and aesthetic concerns is that epochal shift away from one powerful abstraction toward another, an abstraction that now preoccupies modern peoples, and a shift that many consider altogether for the worst. The two artists do not directly ask us to engage such historical questions—although there is, I think, a deeply felt moral imperative that motivates their practice, for all of the playfulness that lies in wait when we enter one of their installations. And, certainly, do not mistake the playfulness that is quietly present throughout their installations! The word minimal immediately leaps to my mind as an apt descriptor when I look at Ibghy & Lemmens’ works. I suspect it is not appropriate when I consider its association with a specific contemporary art movement. Perhaps words like spare or even austere might be better, or essential? Such words capture for me aspects of their work, their thinking, their practice—but miss something, as I would miss something when looking at a Canadian loonie from one side only. 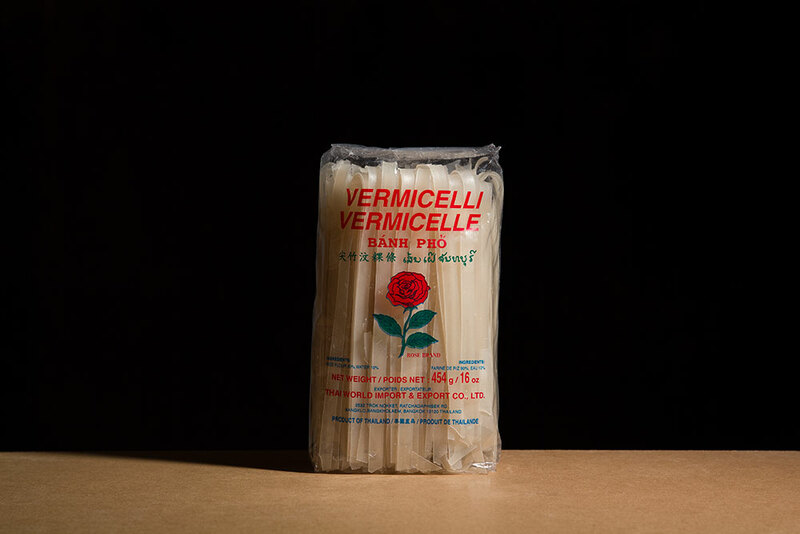 – the pre-existing white cube that contains and incorporates the objects and images. It is the impression of bare essentials against incidental location that creates a very real tension—visual and therein conceptual. This tension animates our encounter with what might have been a lacklustre abstraction and takes us in the direction of a demythologized experience. Because Ibghy & Lemmens’ work seems so materially reductionist, it is more important than usual to pay particular attention to the details and elements that comprise what we actually see. How these may signify to each of us is, as it always is, another matter altogether. While we may feel—I certainly do—the urgency of a didactic mission, it is held at bay by the formal infrastructures that Ibghy & Lemmens have been developing in their practice and, secondarily, by their playful humour. I imagine a quiet cacophony of sound and image, and perhaps of sense? The language and logic of economy is Ibghy & Lemmens’ subject here, as it has been for a number of years. With The Golden USB, the collaborators take the next logical step—or take the current conception of economy to its reductio ad absurdum? 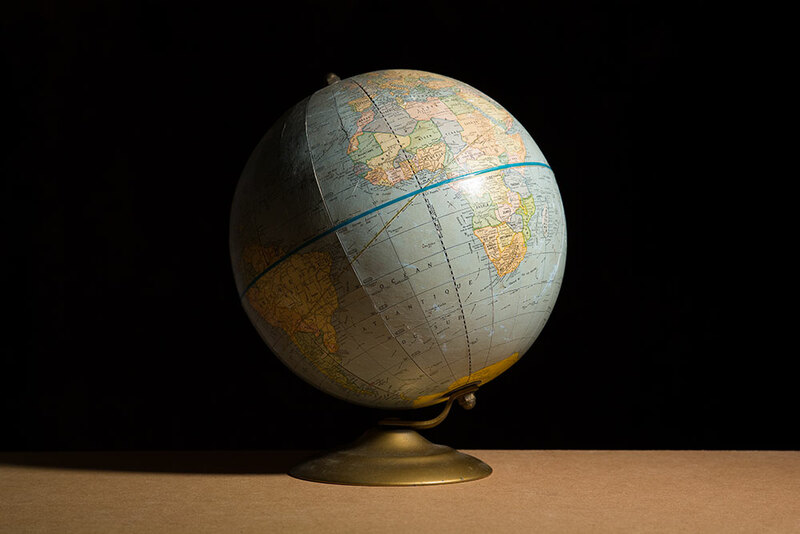 When we have exhausted the possible here, our exploration of space has powerfully shown us that “here” is a drop in a bucket—and not even—when compared with everywhere else. 1. I read this in Yves Abrioux’s Ian Hamilton Finlay: a visual primer (1985). I often return to Finlay’s work when looking at and thinking about Ibghy & Lemmens’ work. The Golden USB is an installation by Richard Ibghy and Marilou Lemmens that gives form to the idea of an interstellar trade capsule. Housed in a gold USB flash memory device, the capsule is intended for travel aboard a probe headed towards the stars beyond our solar system. Following in the footsteps of the Pioneer Plaque (1972-1973) and The Golden Record (1977), which introduced human civilization to extraterrestrials, The Golden USB (2014) is an invitation to make contact and begin a trade relationship. 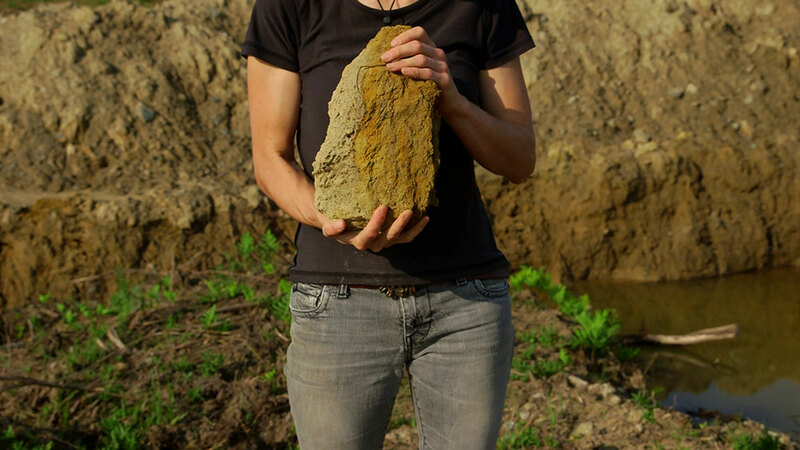 The work revolves around the Trade Catalogue of Everything, a digital file listing everything and anything—land, water, air, plants, animals, fragments of nature, but also the products of human culture, industry, invention and know-how—that may be of interest to alien life. Through a proliferation of spoken words, filmed performances and actual specimens, the contents of the catalogue are revealed in the exhibition space, transforming the items presented into “samples,” that is to say, objects of appropriation and speculation. By raising timely questions regarding the limits of commodification, including the ownership of the Earth and of the life forms that inhabit it, The Golden USB considers the prospect of interstellar trade as the logical extension into the future of the economic paradigm of a planet without boundaries or borders, in other words, of global capitalism. The artists would like to thank Michael Belmore, Nicole Giard, Jesse Gray, Rodrigo Martí, Bronwen Moen, and Kevin Rodgers for their participation. 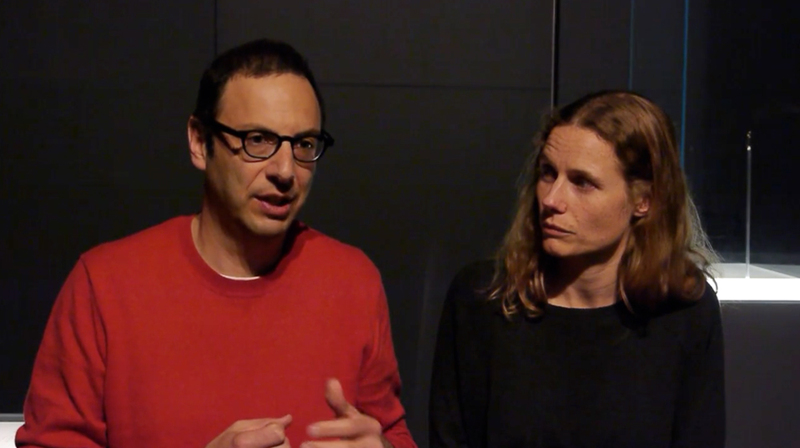 Interview with Richard Ibghy and Marilou Lemmens during their exhibition The Golden USB, presented at VOX in partnership with Biennale de Montréal. In the context of their participation in La Biennale de Montréal, Richard Ibghy and Marilou Lemmens will be giving a conference as part of the series Programme ICI at UQAM. See you in room A-M204 of UQAM’s Bibliothèque centrale (Pavillon Hubert-Aquin: 400, Ste-Catherine Street East, Berri-UQAM Metro).